Can I deploy to my servers behind a VPN? We're delighted we're now able to help out those users who need to use a service like Deploy but who's servers are locked away behind a VPN. Today we're launching what we call the Deploy Agent. 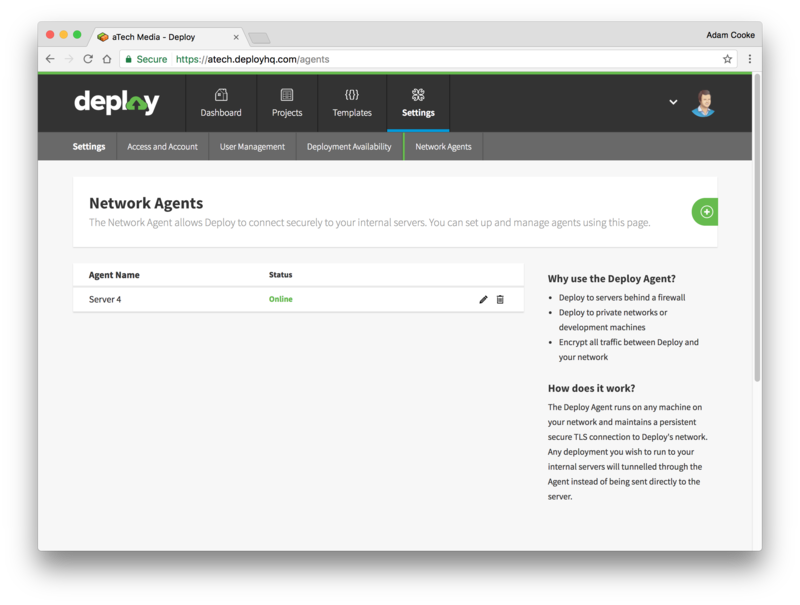 The Deploy Agent is a tiny utility that runs on a server behind your VPN and connects securely back to us allowing us to access servers behind the VPN. Woah! Isn't this a bad idea? When your agent connects back to us it will verify our certificate against a public key distributed with the agent itself. This protects you from inadvertently connecting to an untrusted party. All communication between Deploy and the agent is encrypted using industry standard TLS with a 4096-bit private key & certificate issued by own our internal certificate authority just for this purpose. We distribute the agent package from our own website (rather than distributing via. RubyGems.org) to avoid any potential tampering with the package. The SHA digest of the file is provided for additional verification during the installation process. The agent can be configured to ensure that we can only connect to a list of allowed addresses. By default, it is configured to allow access only to the host it's running on, but additional destination servers can easily be added in the ~/.deploy/agent.access file. The full source code for the agent is provided on GitHub for your own review. We would welcome any feedback you might have too. To use the Deploy Agent you'll just need to apply the add-on, at £5/month to your account. You'll need a Linux server or OS X machine. You'll be fine with Ubuntu, CentOS, Debian or Fedora. You'll need Ruby 2.0 or higher installed on the server. This is usually pretty simple. I'm Charlie and I love technology. I design the backend systems that power all of our applications and work tirelessly to ensure that everything stays running smoothly. 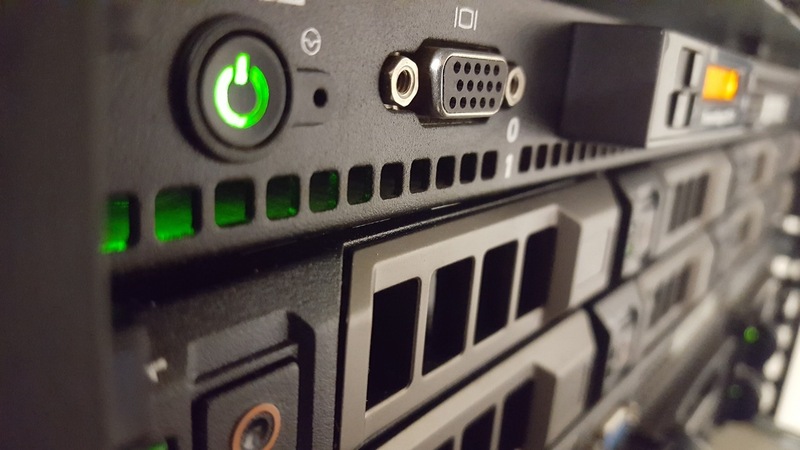 Even though I often have my head buried in servers and network hardware, I also love trying out new technology, creating new web applications and helping customers to get the most out of them.